Almost always, if an author isn’t selling, it’s because their page isn’t converting. You need 3 things to succeed, a great blurb, cover, and enough reviews to offset skepticism. I can help you fix those things; I can also help craft your pitch or hook – which is critical for your amazon page. I can also do keyword and category research to optimize your Amazon page and make sure your book shows up in search results. Unfortunately I can’t do ALL of this for you, because it’s time consuming and I would have to charge a lot, and it probably wouldn’t be profitable for you (it would have to be profitable enough to cover adspend and pay me for my time and expertise). 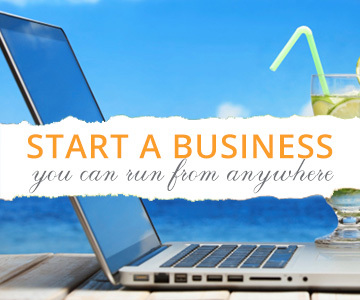 But I can help make your book as marketable as possible to boost conversions and online visibility, and also give you some great ad graphics and social media graphics, and a handful of hook and pitch variations you can test until you know which converts the best. (You should only have to spend a few hours a week on marketing). That said, you WILL have to learn this stuff. Nobody else can do it as well as you can, and the alternative is almost always paying too much for “author marketing services” or publicity which might make you famous for a day but won’t actually sell any books. 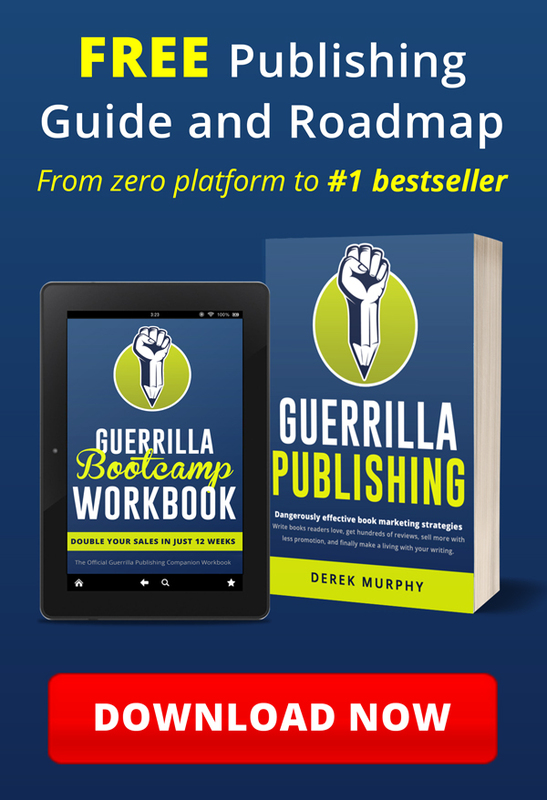 So if you’d like to be a full-time writer, and you’re willing to learn enough about the publishing industry to make smart choices, you can grab my guide to Guerrilla Publishing – I’m going to open enrollment soon so you’ll get first dibs if you sign up for the free book (even if you’ve signed up before; I just added a new video series that will help you level up fast. In my own work and experience, after having been a creative professional for over a decade (including as a fine artist, author and entrepreneur) I’m struggling with HOW to create more great work that matters, which includes things like finding my audience, communicating benefits, increasing productivity and output, defeating procrastination and upping quality. Here are some myths that are counterproductive. There’s a myth that things made slowly are of better quality. Sometimes this is the case: a factory makes tables. A craftsmen makes one beautiful table a year and sells it for 100X the profit. But books especially are not a luxury market, and art has long since parted ways with technical proficiency. Van Gogh and the Impressionists painted beautiful art quickly – in an hour or two – that are now worth just as much as the beautifully wrought, perfectly conceived masters of fine art. One of my favorite painters, William-Adolphe Bouguereau, with one of my least favorite, Picasso. If there’s one thing I pointed out in this article, it’s that the commercial appeal – and thus ultimate success – of a book is not the book: it’s the hook or pitch. It’s the comparative titles and target audience. Because other wise, you won’t be able to get the book read. Which means, you can dramatically increase the value of a book by proper planning, research and analysis. You can also use Pam Slim’s 5 step model for creative work, “what, who, why, how and when” to make sure you have a clearly designed product, for a specific audience, and also know why they’ll care or want it (value/benefits that resonate with intended audience). Then you can focus on the HOW by reading bestsellers in the genre and borrow tried and true, universal story telling motifs or structure that have worked for previous projects. Then you can add a deadline (when). Most authors only ever do the FIRST of these 5 steps (writing what they want). Then they don’t know what they’re making, how to make it, who will read it or why anyone should care… and with all that lack, they go out and try to sell it anyway! A much faster way of writing good books would be to do the planning and research first. Yeah but in a MONTH? #1, every creative skill should get faster and better with time and practice. Not only will you have the skills to do a better job the first time with less revision, but you’ll also be able to immediately “see” how it should all fit and work. Your epiphanies will be quicker to arrive and with deeper insight. Your word choice and fluency should both improve at the same time. Writing isn’t easy, but you should at least INTEND to write faster, because that means you’ll be getting better. Writing faster is not JUST about improving your word count. 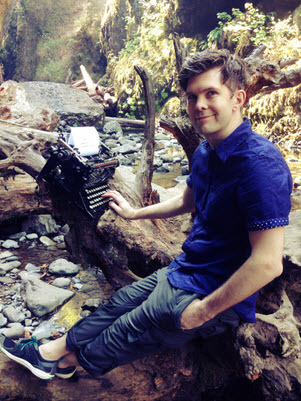 It’s about setting a daily writing habit, and also about learning to lay down a cleaner rough draft. It’s possible to write a book, send it off to the editor, and get it published. You don’t have to go through the painful revision process (I draft well, then do a heavy edit and improve features and details). I can write a book in a month (though most months I don’t, I’ve done it before) then I can edit in a few weeks and it’s ready to go up. Some of my friends have editors and cover designers on their payroll, so they can just finish the writing and get it cleaned up before publishing. Yeah but is it any GOOD? I let my readers decide. And here’s where things get weird. People like my books. I get great reviews. But some authors will argue that popular books, or books that don’t earn money, are not good. And that art is “better” when it is written by a slow writer enjoying the process, even if it has less market value. I’ve had this argument dozens of times on Facebook, here are a few of my comments. I sound like a pretentious grad student, so I’ll try to break it down below. Some authors think real art is the fresh and the new, but most academic definitions of creativity are about creating something new that also has value. Traditional publishers and Hollywood are not looking for NEW. They’re looking for things that are similar to established sellers, which have an easily identifiable market – they want something that ticks all the right boxes while also being new and fresh. It’s a blend. 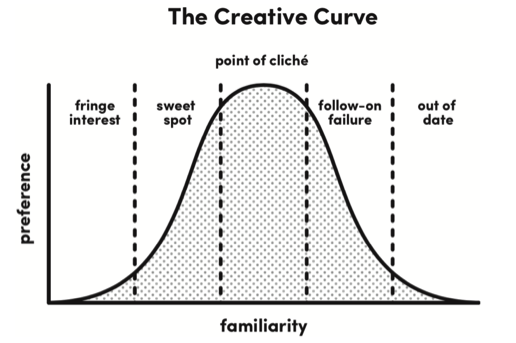 Allen Gannett calls this the creative curve. There is a science and a method to achieving mainstream success, one that anyone can work to master. “As far as trends are concerned, research identifies two seemingly contradictory urges in the human psyche: People crave the familiar, yet seek the novel… John Berger’s 2016 book Invisible Influence described how ideas that are “similar, but different” have the most social influence. Industrial designers observe this phenomenon in a principal called “Most Advanced Yet Acceptable. Here’s the funny thing: the best “ART” is avant-garde stuff that surprises and delights viewers. But a lot of it, especially with modern art, has not other value besides the novelty factor. It can be fun to exhibit something really different and shocking, something totally new, but if it doesn’t “catch on” it will be quickly forgotten. Recently we went to an exhibit of classic cars at the Portland Art Museum – all the examples were beautiful, but still massive failures: they were innovative design, but didn’t fulfill the basic comforts and features required by actual people. Their founders spent years showcasing their design and seeking funding – but they were never produced, because they were too expensive to make and too exotic for the market. I think this argument is true: better quality does not increase value; popularity does. I’d also argue that real art gets seen, so if your work doesn’t resonate enough with actual read readers to get shared and enjoyed, you’ll need to try harder. More popular books are not necessarily better than high quality books, but they do have larger social impact and more financial earnings, which may allow the creators to focus on improving their craft. Also, firmly, quantity leads to quality. If you want to become a violinist, would you improve faster by practicing 4 hours a day, or 30 minutes on the weekends? The fastest way to improve is to actively do the thing. 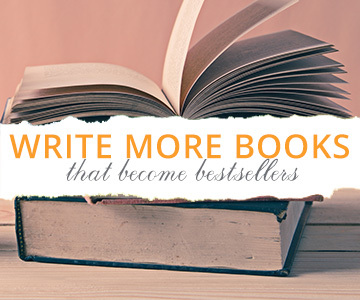 The most books you finish, the better you’ll become at writing books. You can gain a decade worth of skill in just one year, if you’re committed and serious about writing. I’ve already made the argument that you’ll become a better writer by forcing yourself to write more. I usually respond with “You can do anything you want to do.” It used to be hard for me to write 500 words a day. Now I can write 3000 in a couple hours. And they’re getting better, and I don’t get stuck in the middle as often. You don’t HAVE to write quickly. Yes everyone has their own speed and that’s just fine. But: writing shouldn’t JUST be fun and easy. Writing is hard. You shouldn’t quit the project whenever you feel stuck (if you do, you’ll never learn to overcome that specific hurdle). I have friends who write a book a year and do great. But you do probably need several books, and you’ll have to keep putting out new content – and importantly, you probably won’t be a great writer until you’ve finished 5 or 10 books (and then, only if you’re actually TRYING to write books readers love; if you don’t have a goal or any way to measure quality/value, you’ll just keep writing books nobody wants to read without learning how to satisfy readers. I know authors with 20 books that don’t sell any, and authors with 3 books that make six figures. The work that stands the test of time. Great books last: but ONLY if they become popular. SOME books do get rediscovered later. The Great Gatsby was a commercial failure in its time. But the thing that’s forgotten: books and painting rarely get rediscovered unless an influencer sees the commercial value in a piece of work, and promotes and markets it (often this is much cheaper after the death of an artist). But things don’t work like that any more. 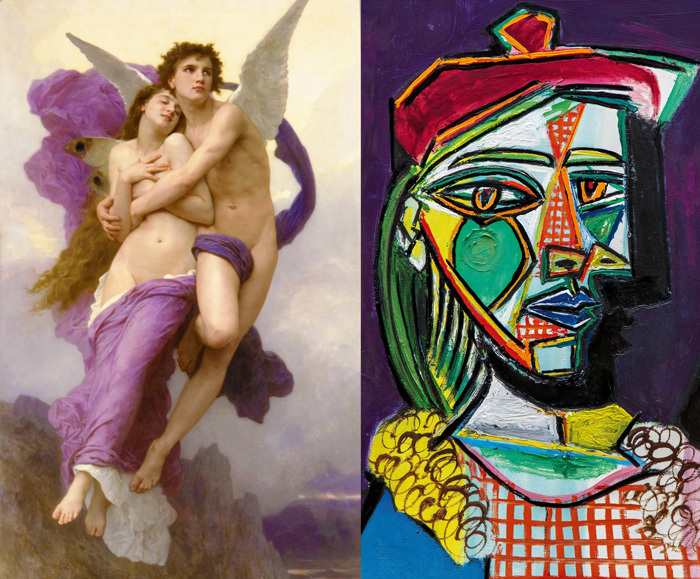 To make art that has value, you need to steal. You need to be intentional about what kind of thing you’re creating. Who will appreciate this? why will they like it? Who will support and champion your work, and why? What other creatives have been successful doing something similar? How can I make this project relevant for them? This is my definition or art, quality, etc: people like it. If people love the work, then they won’t feel the negative connotations surrounding the idea of marketing. 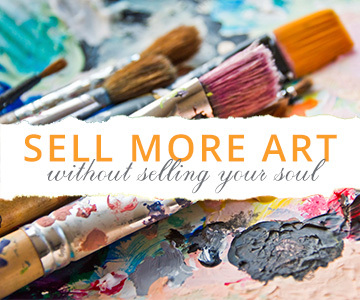 Selling is service – as long as readers love what they’ve been sold. Your belief in the value or integrity of your artistic work does not necessarily correlate with the levels of satisfaction readers actually get from your writing. Recently a boxet I was in lost 2000 preorders apparently we promised too many bonuses, so people were skeptical about the content. For me, as long as the actual readers love the content, it’s OK to invest in marketing. Spammy marketers try to sell you things you don’t want, often of poor quality, in an annoying way. But if authors with integrity want to connect with readers directly, without relying on desperate and spammy tactics, how is that even done? Every book on creativity talks about building a tribe, an email list or connecting with peers and mentors: real relationships are the best marketing. I know tons of authors who just crank out great books readers love, and that’s all they need to do. The problem is, long term support, you need to get them to like and trust you, which usually happens slowly over time. You can do that on social media, but nothing works as well for building trust than emails. Most writing conferences are super awkward. The agents are listening to pitches, looking for a commercial project. The self-publishing companies are selling publishing and marketing packages. I’m just there to help, so I try to tell authors how easy it is to self-publish; first you have to learn about cover design, so you can recognize quality and choose a good designer. Then you can learn the formatting or hire someone to format for print and ebook. You should read some books on plot and craft and story architecture to fix your story, and hire a developmental editor. Then upload the files to Amazon. Easy! If you have a great cover, a killer blurb… well then the book will sell. As long as you get at least 10 reviews first. How do you do that? 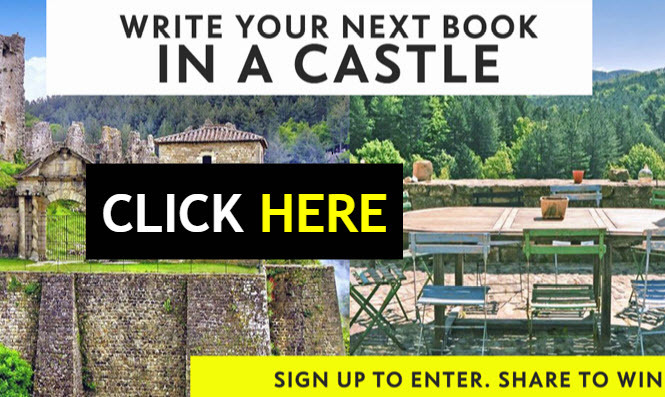 By building an email list of readers who love your genre, with book giveaway and Facebook ads. Or you can give away thousands of copies for free. Then once you have an Amazon page that converts you can run direct ads, and as long as your ads are profitable, you can scale up. Even if I tell them to watch out for the self-publishing companies, because they’ll screw up the CRUCIAL things like the cover, and it’s cheaper and more effective to do it themselves, they don’t want to learn all the stuff. They WANT to just pay someone to do it for them. And there are plenty of companies out there to take their money. Almost all the successful self-publishing authors I know are the indie authors who have worked hard to learn everything about publishing and taken control over their own books and marketing. This puts me in a bad position, because I don’t have a great solution. I tell authors, don’t over pay for all that stuff, do it yourself, do your research, learn and study, start building your platform. Don’t sign with one of those cheap publishing services, those package deals, because I’ve never seen an amazing cover come from one of them (and you need an amazing cover). In fact, sometimes I wonder if it’s all a plan: they give you a good looking but ultimately unimpressive cover design, which means the book will need to work MUCH harder to sell; which means you’re MUCH more likely to come back, hand in hat, and cave in and buy their expensive marketing services. I don’t think they’re actually that devious however, I think these companies are started by non-designers, and they hire cheap designers, and the work is “good enough.” I tell them I have hundreds of youtube videos, hundreds of blog posts, that will work you through every single part of this stuff, and you can learn to do it all yourself, and that’s the BEST and the CHEAPEST way to be successful. But it’s not what they want. In business, you always want to be selling what people are looking for, instead of trying to educate them into wanting something else entirely… which is why I’m bad at business. I usually tell people not to hire me, because there are cheaper options and I don’t want them to be unhappy later if the book isn’t selling; those that hire me anyway do so because I can give them so much more than a cover. In order to SERVE, however, I would have to be offering the things authors think they want or need, and just provide as much help and service as I can. However, I’m probably done with services because like I said, unless I can control the core product, all the polishing and decorating and marketing STILL won’t fix it. So at the moment, I’m more interested in helping authors write commercial fiction by getting in early. Authors paying for publishing packages are rarely the successful ones. The authors earning real money don’t pay for publishing packages, but it took them several years of failure to build up their knowledge and writing abilities. But authors are adults: more education is necessary, they should understand the market, but ultimately if they’re happier and more comfortable just paying someone else to do everything, that’s their choice. At one writing conference, I went to two talks with conflicting advice. The first speaker told us to “write books for YOURSELF.” The author had a couple trad published books (that don’t look like they’re selling that well). This is the common advice, the one writers love to hear, the one creative people respond to. Just write what you’re PASSIONATE about. If you don’t love writing it, others won’t love reading it. Here’s the problem: Too many people just crank out a book on raw passion and emotion and think it’s amazing because they made it, but it doesn’t resonate with anyone else. Or they spend 5 years polishing and perfecting it. They think it’s amazing because they know how hard they worked on it. But 95% of the time, they may have a well-written book with zero commercial appeal. THEY enjoyed writing it, but nobody else wants to read it. Imagine a plumber who took 10X longer to fix your pipes. Would you pay them 10X more? Would you think he’s done a better job? Probably, he’s an amateur that doesn’t know what he’s doing. But authors argue their book is worth more because it took them longer to write. The other speaker was all business. “I write books for readers.” He was self-publishing fiction. He knew to have a successful book, he had to make something readers loved, and package and position it in an attractive format. This is the method I support and agree with, because I think it’s easier to write books readers love if you do it on purpose. Learn the rules, study, practice, imitate – all great books on creativity teach us that real art borrows and blends from what came before. Authors who create in a vacuum tend to make common, easily predictable writing mistakes. Writing without considering the market does not lead to a better book, nor a more successful one. Which means, frustratingly, that the majority of these authors were writing books nobody wanted. At another conference, there was a woman complaining that an agent didn’t GET her work, or wasn’t supportive enough. Authors want to be artists, they want someone to appreciate their work, their vision. So they go to conferences, they pitch agents and publishers. This usually fails. Agents aren’t there to encourage you; they want to make you lots of money, they want to help – but if the book isn’t marketable, they can’t sell it. If you can’t immediately communicate in 30 seconds or less why your book is awesome, if YOU don’t know the heart and value of your story, they won’t be able to find it for you. Most authors have been writing a few years, have a bunch of STUFF, are starting to think about publishing, but need help and feedback. They PAY to talk to an agent for 5 minutes and get feedback. They also pay for things like blurb and critique and first chapter editing, etc. All stuff to help them clarify the benefits, the hook of your book (what happens, why anybody should care) and the marketing aspects (who’s going to buy this, and how will I reach them). Agents and publishers are desperately looking for that next big thing; the problem is, they don’t know the market and aren’t TRYING to hit the market. They’re trying to predict the market. They want it to sell, but they also want to curate for quality – the entertainment industry, Hollywood, want “similar but different”. They want something comfortable, similar to what’s sold well in the past, something users are familiar with, but also a new and different twist. The standard academic definition of creativity is the ability to make something that is novel, and that also has value… as far as trends are concerned, research identifies two seemingly contradictory urges in the human psyche: People crave the familiar, yet seek the novel. The problem is, predicting the future of reading trends is hard, and the internet is too fast. Things change quickly. Traditional publishers focus hard on print sales. Some books get huge! Most books fail and don’t earn out their advance. When that happens the author is usually dropped. Even very successful authors sometimes don’t make enough to live on (much more sales, but much fewer royalties). Most first time authors don’t know how to publish a book or how to market it, and they want legitimacy and support, so they’d prefer to go traditional… but publishers will only take on commercial projects. It’s not their job to coddle you or believe in their vision. It’s their job to make money, that means they have to be able to sell your book. Most authors have written books that nobody wants to read. After failing for years (I recently read about an author querying for a decade!) some authors are willing to consider self-publishing. But there are horror stories about self-publishing: usually the self-publishing indie authors work SO HARD and do everything themselves. I watched a BookBaby presentation in San Francisco, which showed a huge chart of ALL the things, and concluded that successful authors just do MORE of those things. The problem is, they don’t really know why their book is selling so they do everything and are not sure what’s actually working. Most authors look at that and think, that sounds horrifying. I don’t want to be on social media all day. I don’t want to build a big email list or Facebook group and interact with fans. I don’t want to learn cover design and formatting. They’re probably also thinking about getting an editor who can fix things for them, but aren’t sure how that works or what they need. Some people call all vanity presses and author services scams, because – with enough time and effort – you can figure out self-publishing on your own. But most first time authors don’t want to do that. Self-publishing is a billion dollar industry because authors are willing to pay someone to do all the things they don’t want to do. I’m skeptical of companies selling publishing packages because I know most books don’t make any money, and most authors won’t earn back their investment. Self-publishing companies will often give authors the support, validation and encouragement they want. And they will help you design and sometimes distribute the book. You’re paying for hand-holding and support. They’ll help you get your book done. Yes, they’re overcharging, but any business that wants to grow must have enough profit margin to spend on ads, and sending out people to writing conferences to acquire new clients. I don’t think these businesses are a scam: they exist because there’s an enormous market of rejected writers, who are tired of spending years on the conference circuit pitching their book and are finally ready to self-publish, but they don’t actually want to learn it all. Like any good business, they offer what authors actually want and are willing to pay for. It’s not their job to focus on sales, so they probably don’t know that much about marketing. Also, most marketing offered by these packages doesn’t work for self-publishing (the really important stuff is cover design and blurb). So if these services are too positive – “your book sounds amazing, we’d love to work with you on it, I think it will do really well!” – they are falsely inflating author’s hopes. And because these package services can be expensive, most authors won’t earn their money back. Let’s be clear: some ARE scams, if they take money and don’t deliver what they promise, or if they keep calling to upsell you with marketing packages. But they are providing what authors think they want and are willing to pay for, in other words, they fill an obvious need and demand. I spent about 7 years in the publishing services industry, both as an editor, book designer and book marketer, and I found it frustrating and depressing. As an editor, I could fix and improve their story, and make it much better, but that wouldn’t increase the marketability of the project. Even with in-depth line edits and constructive criticism on the manuscript (character motivation and development, plot, conflict, organization) – there’s still only so much I could do to improve a book. So most of the time, even if I was amazing at my job and clients were happy to pay me, I knew they probably wouldn’t earn the money back. As a cover designer, I was always overbooked, and I tried to do my best work, but was constrained by the author (a real publisher will use the cover that will sell the most copies; but if you’re self-publishing and hiring a cover designer, most of the time they’ll make what you tell them to make, which is probably a bad idea because you don’t know what sells). I was good at my job, and clients were happy – but most of my covers were invisible once they reached Amazon, because the authors had no platform and didn’t know how to start marketing. So I started teaching about marketing. But even if I could get them a ton of visibility, and put their book (with a great cover) right in front of their target audience, if the audience wasn’t sold by the hook and premise, the book still wouldn’t sell – this is why I don’t charge for book marketing services. Some of my clients have surprised me, getting on Oprah, hitting the NYT bestseller lists, getting funding to turn their books into movies, but I have others whose books never took off. It’s disheartening, and I feel like I’ve failed somehow, if my clients aren’t successful. So more recently I’ve been focused on teaching how to write books that sell, because that’s really the crucial part that so many authors mess up. If you start with a great premise and hook, if you start with a great cover, if you start by researching the best books in your genre and reading the reviews and understanding what readers want, then you can write a better quality book that’s easy to sell. At the moment, I’m working on a course about writing books that sell, and I’ve also created some bonus services for students in my Guerrilla Publishing course. (If you join this month, I’ll personally critique and edit your manuscript outline, do keyword and competition research, and help you write the hook and pitch, so that when you finish your book you already know exactly how to sell it. I think those services are really useful, but I’ll probably remove them at the end of the year and create a new course where feedback will be much more expensive. I’ve you just need some free resources to learn more about writing books that sell, grab my free books and video series.